Balance between price, performance and aesthetic. And as far as aio coolers... I think they are always needed... At least for the builds I do. If I'm not running a custom loop I'll aio it no matter what cpu in use... They are not too much money, keep this cool and quiet!! Good job! A custom loop would be awesome but it seems to get expensive fast! Delidding scares the hell out of me I've never done it before. Oh cool, I've never considered delidding so I didn't even know they had tools for assistance. Not a bad idea for practice, I assume others are just using vices in lieu. How much centigrade can one actually save from delidding? I like it. Good aesthetics. Nice!! What are your cpu and gpu temps like idle and under load? 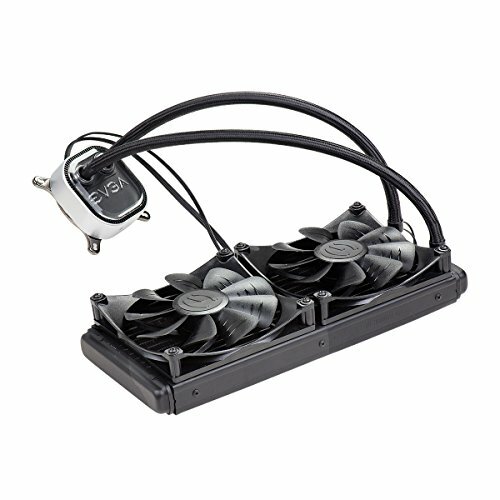 I'm looking into getting this case but have read some reviews that it doesn't have great airflow and temps are higher than normal. I haven't had time to install an OS yet to play with any PWM control but straight after setup in UEFI I remember the CPU around 45C which was a little higher than I was expecting. Granted different AIOs/fans/cases/etc I've seen other users idling ~37C on the same CPU but that might involve some tuning. Thanks! Unfortunately I haven't had any time to do anything but turn it on so far (sad I know). I don't expect the greatest benchmarks for gaming but it will primarily be a workstation for my homelab - VMs, development, research, etc. Okay no problem, it will definitely serve as a good workstation for a few years, thanks for the quick response. If I do get any game benchmarks I'll add it if I remember! Looks great! but I agree with Dylan2749, for this price point you could easily be running atleast an i5 with a GTX 1080. To each his/her own but for me I would have gone with a cheaper case, fans, and SSDs and put the money saved into the CPU and GPU where you will really feel it. For the money it's hard to beat the Fractal Meshify C (often on sale for $80) and then you can go with an excellent air cooler like the Dark ROck Pro 4 for $80. The RX470 is old and left other from another build so nothing out of pocket for it on this build. But now I'm looking to Nvidia cards as AMD isn't supporting one of my use cases very well (hashcat on linux, any news on 1180s yet?). The i3 got the foot in the door of 8th gen and when funds are willing the cooling will be there already for upgrades. The two SSDs were also left over from my last machine. I use two separate drives: one for / and one for /home. Do you think the LL corsair fans would do okay on the 280 evga rad? As long as the fan motors and the LEDs get their own different power inputs. I mention that because the EVGA 3 pin header from the pump that connects to the cpu fan header on the motherboard provides power to the pump and to the fan motors connected to it (opposed to some pumps that pull more power from a SATA connector) and depending on the motherboard cpu fan headers can have different power output limits. I know the LLs have two different cables: 1 for fan motor and 1 for LEDs. 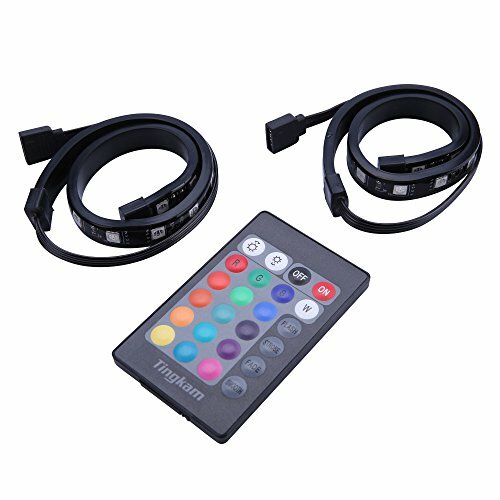 So I would make sure the lighting node pro is powering the LEDs. 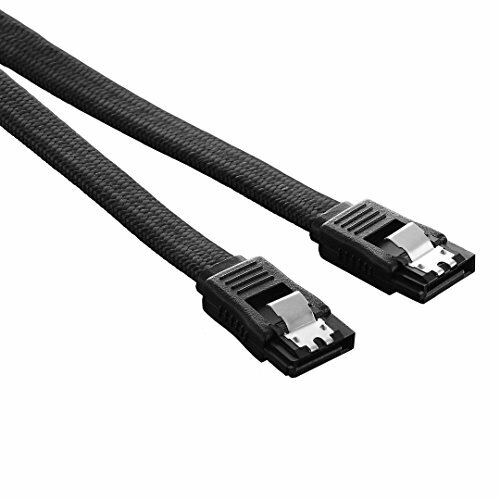 Also be sure to get the LL140s as the EVGA 280 has a 280mm x 140mm rad. Do you think the 280 evga is really that much better than their 240 rad? Honestly I wouldn't know, I got the 280 because the case could fit it (it looks really good through the top glass without any gaps from a smaller rad) and to hopefully future proof it a bit. I agree it does look really good! The price difference between the 240 and 280 is minimal it seems. I am thinking of using the same motherboard as you for my own build. However, I would like to know how you have LED fans because I was under the impression that the motherboard didn't have any RGB headers. Correct there are no RGB headers, the ML140 fans have a solid white LED in them so they don't do RGB and I've put two magnetic RGB strips top and bottom that are controlled by remote and powered by SATA connector (those are in the parts list). 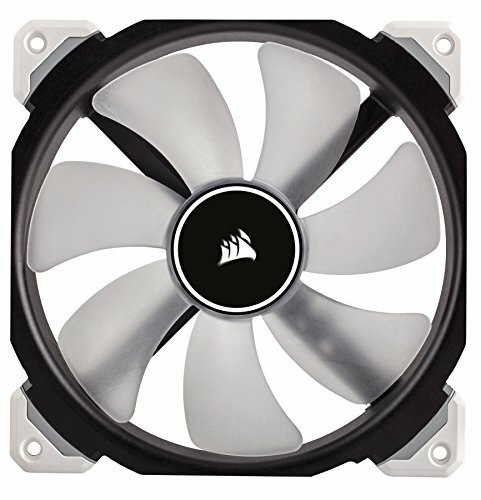 Could you do 6x 140mm fans (top with aio, front, bottom)? 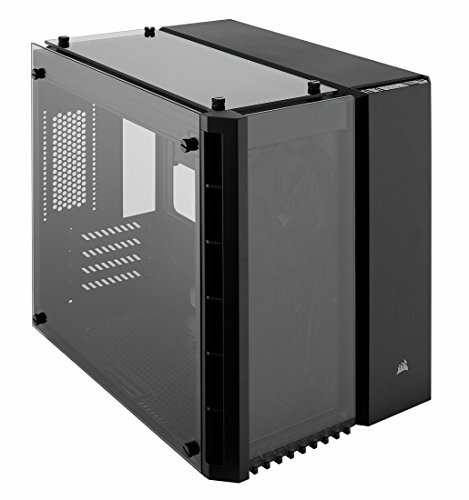 I'm planning on buying this case and was going to get 6x 120 because I couldn't find anyone with a decked out 140mm setup but it looks like there's plenty of space! You could do 6 of either 120 or 140 no problem! I didn't feel like purchasing six at the time so 4 it is for now. wouldn't it have been cheaper to get one SSD with1 Terabyte? It would have allowed for either a slightly better cpu or gpu. I'm running Arch Linux (currently). I have / on one drive and /home on the other for easier data migration to different operating systems etc.. Awesome build! Great cable management. I just finished mine with a very similar look. I actually saw yours before I started mine and stole some of your ideas like the 280 cooler so there are no gaps on top. Awesome, let’s see it! Indeed 280s are a must. But they have a z370 mobo so the AIO will come in handy when they get a i5 or i7 K cpu. Agreed, AIO isn't necessary but it leaves room for expansion. I had the rx470 left over from a server for hash research at the time that I swapped for a dual 10Gbe SFP+ card (only mITX). As for the Dominators- I just could not not get them! Ha I was waiting for that comment! Trust me I am a Corsair fanboy, however I worry about the recent QA on their AIOs. I love the look of the H100i V2s but I read too many bad reviews about pump failures within 5-6 months, corrosion in lines, I don't know though! Have you had good luck with Corsair AIOs? yeah Im running a (refurbished mind you) corsair h100i v2 in my media center PC which used to run 24/7 (no longer the case) with no issues cooling a not so powerful i3. So sure i recommend them based on my limited experience but not sure about their new ones like the Pro versions. I always thought based on my research that the older v2 is a great AIO and well regarded though. EVGA is also a solid performer and uses a newer asetek design so I wouldn't change it but that's just me. Right on, I’m glad it’s working out for ya, it’s no doubt the best looking AIO imo. Maybe when the time comes for a stronger CPU I’ll take another look at Cosair’s offerings. And the 280mm radiator fits ok in the top? If so that’s good news since I want this case for my next build. Yep fits perfect. It fills the space better than 240mm rads and 120mm fans. That’s awesome. Thanks for the info! I would say it depends on the motherboard. The system panel header on my board is on the south/bottom of my board. 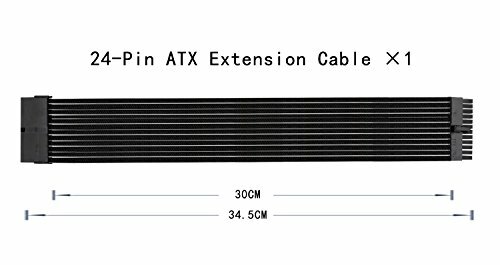 While the pins themselves are out of the way, when they are connected it doesn't leave me room for bottom 140s by maybe 3-5mm or so due to the plastic shields on the case panel wire connectors. I suppose some delicate modding would suffice. Yeah I'm getting a micro-atx board. I went ahead and got 6 140mm fans. I'm sure I'll be able to make it fit! I'll be building in the crystal 280x on Christmas.